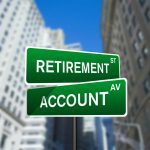 2015 401k Contribution Limits – Max Out Your Savings! 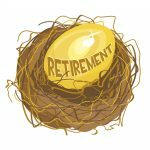 The 2015 401k Contribution Limits – Max Out Your Retirement Savings! Good news for retirement savers in 2015! 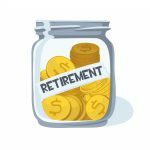 The IRS has officially announced that the 401k contribution limit will officially increase by $500 from $17,500 to $18,000 annually. 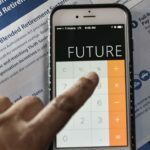 This will apply to not only 401k plans but also to most of the other common employer sponsored retirement plans such as the 403b, 457, and government thrift plans (TSP’s). In addition the catch-up contribution for those who are 50 and older has also increased by $500 from $5,500 to $6,000. 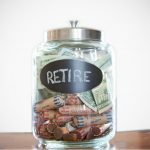 That means if you are of this age, then you get to personally contribute as much as $24,000 per year to your retirement plan. 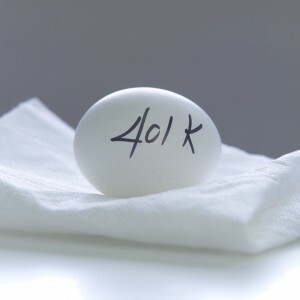 The amount that your employers can contribute to your 401k plan has also changed slightly. Your employer basically cannot give you any more than an extra $35,000 for a grand total of $53,000 altogether (excluding the 50 and over catch-up contribution) or 100% of the employee’s total pre-tax compensation (whichever is less). If you enjoy a profit sharing benefit at your employer, the employer profit-sharing plus the matching contributions both cannot exceed 25% of the employee’s pre-tax compensation. Employers are also subject to “highly compensated employee” rules that help discourage disproportionate contributions to be paid among the employees. 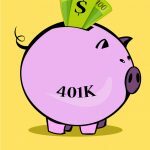 Why Should I Save As Much As the 2015 401k Contribution Limits Allow? Everyone knows you should be saving your money for when you’re older and will no longer be working. 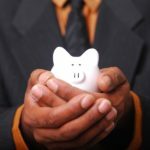 But did you know that a 401k plan offers you several very unique benefits that make it especially attractive to take full advantage of? Whether you have a Traditional or Roth 401k, for each dollar you contribute to your plan you’ll receive some type of tax break (either when you first contribute or when you withdraw the money for retirement respectively). Think of it like putting your money into a special envelope that the IRS ignores. By doing that, you’ll lower your overall taxable income and ultimately owe less in taxes each year. Take the Traditional 401k plan for example. If you make $60,000 and only contribute $10,000 to your 401k, then your taxable income will be $50,000. But if you can reach the upper 401k contribution limit of $18,000, then your taxable income will only be $42,000. Obviously you’ll pay fewer taxes on the $42,000 amount than you will on the $50,000 amount. You’ll physically contribute more to your 401k plan than if you had tried saving the money on your own with a taxable brokerage account. For example if you’re in the 25% tax bracket, then that means for every $1 you earn you get to keep about $1 – $0.25 = $0.75. Then if you save 10% of your income, you’re only saving $0.075. But with a 401k you get to save your money before the taxes are taken out. In other words you first save your 10% = $0.10. Then you get taxed on the remaining $0.90. A savings of $0.10 over $0.075 is a 33% gain! Reaching the maximum 401k contribution limits each year will guarantee that you will be taking full advantage of your employer’s matching plan. On average most employers will offer you some type of “match” up to around 4% of your contribution. If someone is offering you the opportunity to get free money, you take it! Check with your employer plan administrator for the exact details and rules on their specific matching program. Your investments will grow tax free year after year. Unlike a regular brokerage account where you pay annual taxes on the capital gains and dividends you earn, with a 401k you get to avoid paying these taxes each year. The more you contribute to your 401k plan, the less you rely on that money. Again using our example from No. 1, learning to live off of $42,000 as opposed to $50,000 will help lower your standard of living. 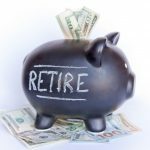 This will ultimately mean you’re going to require less money to retire. It’s the fastest way to grow your retirement savings. Saving near the maximum contribution limit will ultimately help ensure that you have more than enough money for retirement. 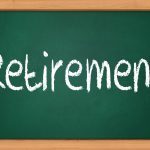 In fact – depending on your income needs, you may even be able to retire early! If you’d like a really simple way to keep track of your 401k or see how much it will potentially grow in the upcoming years, then check out this free software from Personal Capital. Each week I get an email sent to me automatically that reports on how much my portfolio has grown. It’s been really helpful. The maximum IRA contribution limits have not changed for 2015. They are still set at $5,500 annually with an additional catch-up contribution of $1,000 if you are 50 and older. 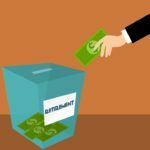 If you are eligible to save your money for retirement using both an IRA and 401k plan, then I’d highly suggest you do so. Contributing to both types of plans can really help you take building your nest egg to the next level. What If I Contribute Too Much? If for any reason you accidently exceed the 2015 401k contribution limits, not to worry. The IRS will allow you to correct the situation by withdrawing the principal (plus any earnings) before April 15th of the following year (when your income taxes are due). Since your contributions are usually automatically deducted from your paycheck by your employer, you will likely have to consult with them for the over-balance. 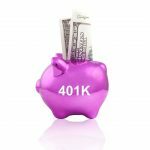 What are the Differences Between a 401k vs. IRA? IRA vs 401k Central is for entertainment and reference purposes only. The information presented is the opinion of the author only and should not be interpreted as specific advice or recommendations towards your financial situation. Always consult with a true professional before making any financial decisions. Per FTC guidelines, IRA vs 401k Central would like to disclose that we may be compensated for our personal opinions, views, and affiliate relationships with some of the featured products and services. Google Adsense and Amazon Associates are examples of such relationships. Such content, advertising space or posts may not always be identified as paid or sponsored content. All offers or claims are subject to change without notice and should be verified with the manufacturer, provider or party in question.